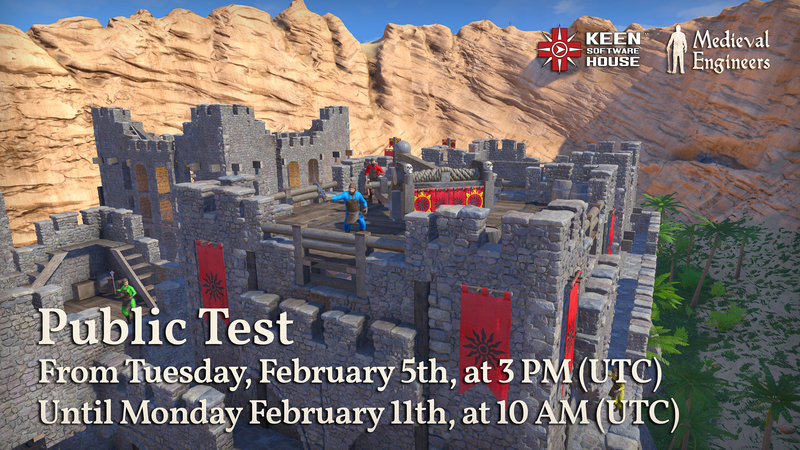 We’re excited to announce that there will be a public test on Tuesday, February 5th, beginning at 3 pm UTC and running until Monday, February 11th, 10 am UTC! We encourage everyone to try out all of the new features. Players will be able to submit their feedback on all of these features via: https://support.keenswh.com/medievalengineers. A dialog box with a number of tabs will appear, you’re looking for one that says "publictest”. Thanks for reading and see you all online this Tuesday!